It’s been somewhat a story of delays. To some extent this is the nature of cruising sailing as you are heavily dependent on the weather, especially if you want a comfortable trip! Our departure from the Pittwater was delayed due to Lyn having a bout of the flu plus some bad weather. As planned our first trip was just a short hop up to Newcastle where our good friends Joe and Belinda own the Mid Coast Marine boatyard and we took the boat out to do a few maintenance tasks. We were supposed to be there for just a day or two, but the weather had other ideas with the east coast low keeping us pinned in the Newcastle corner for almost a week. Anyway plenty of time to do the tasks and catch up with our friends. We eventually left Newcastle in a not entirely perfect weather situation of strong South Easterly wind and huge swell. The going was quite rough, not what Lyn had hoped for on our first overnight trip! 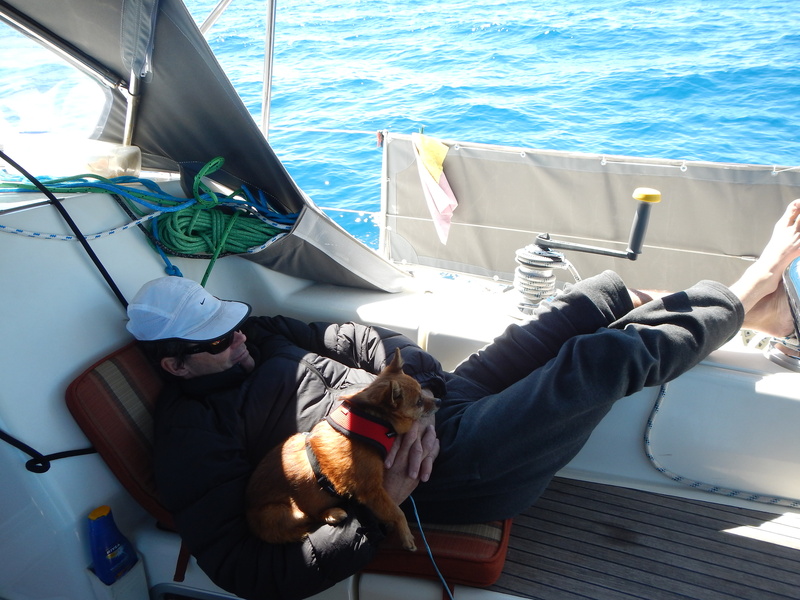 Bruce had to hand-steer for a very long time and had an entirely sleepless night after we noticed that two of our mast stays (D2 stays) had come unthreaded and were swinging in the breeze (and bashing against the mast). The next morning conditions had smoothed up a bit and Bruce was able to go up the mast and re-secure the stays (fortunately they are not essential for keeping the mast up!). In light of a forecast for even stronger winds and bigger swell overnight, we elected to stop in at Coffs Harbour. The tallest mast in the marina! 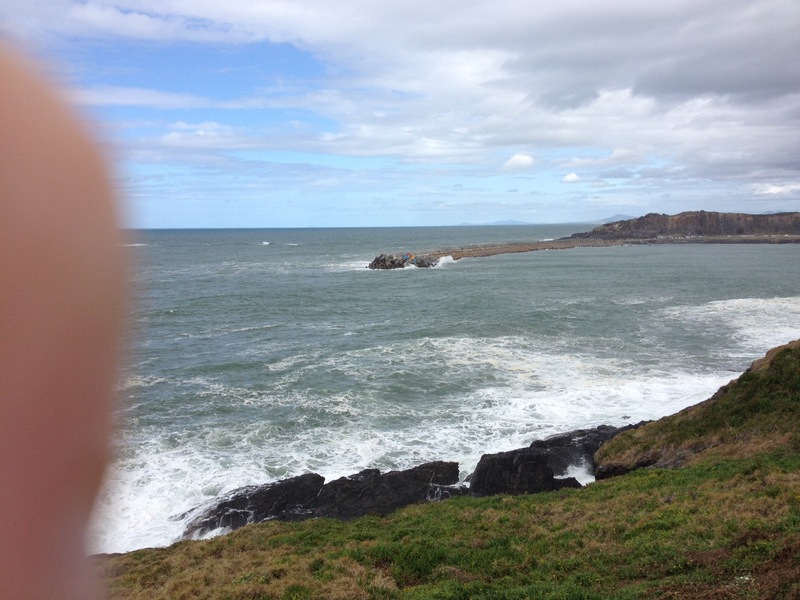 Radioing Coffs Marine Rescue for advice on the harbour entrance in the big swell, we were assured that it was fine. In the middle of the entrance this huge feathering wave appeared out of no-where and Bruce turned the boat as fast as he could to avoid being taken by it! Got washed sideways, rolling like crazy before being able to turn in again, chased by another set of waves breaking down the breakwater! Scary stuff, Lyn says it’s the most frightening experience she has ever had. Managed to get the boat safely docked in the marina and went for a much-needed drink! 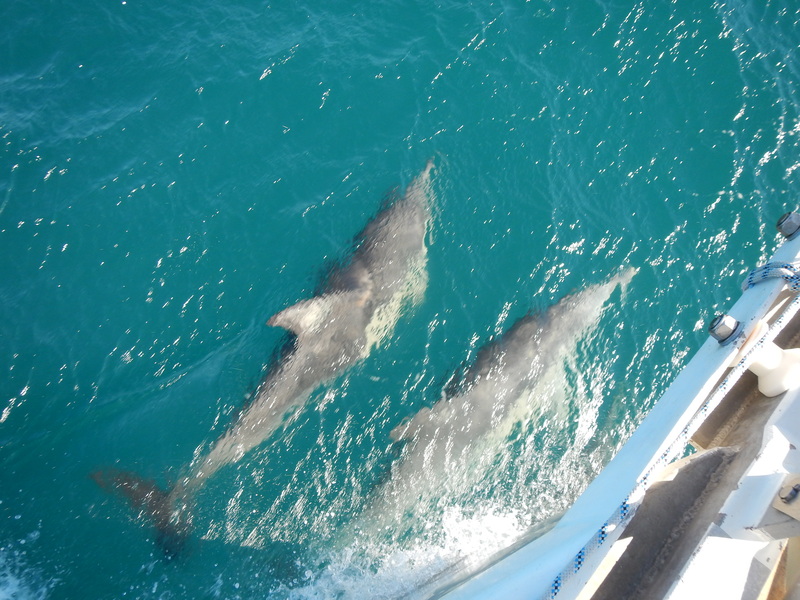 We were again delayed in Coffs for a couple of days as there was no way we were venturing out of the marina until the swell had died. 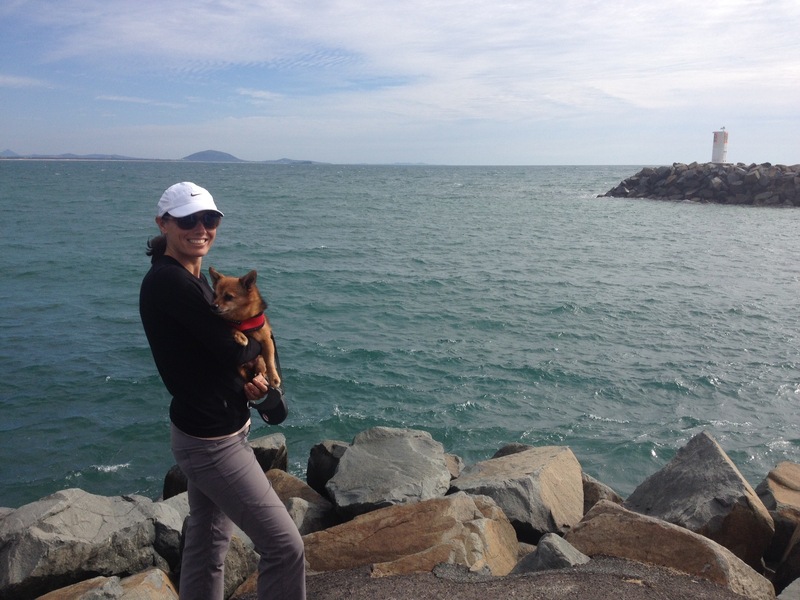 Not such a hardship as Coffs is an awesomely beautiful place. We departed on the back of a dying swell and a beautiful moderate Southerly wind, enjoying a day of champagne downwind sailing. The wind faded that night so we motor-sailed through the night and the next morning. 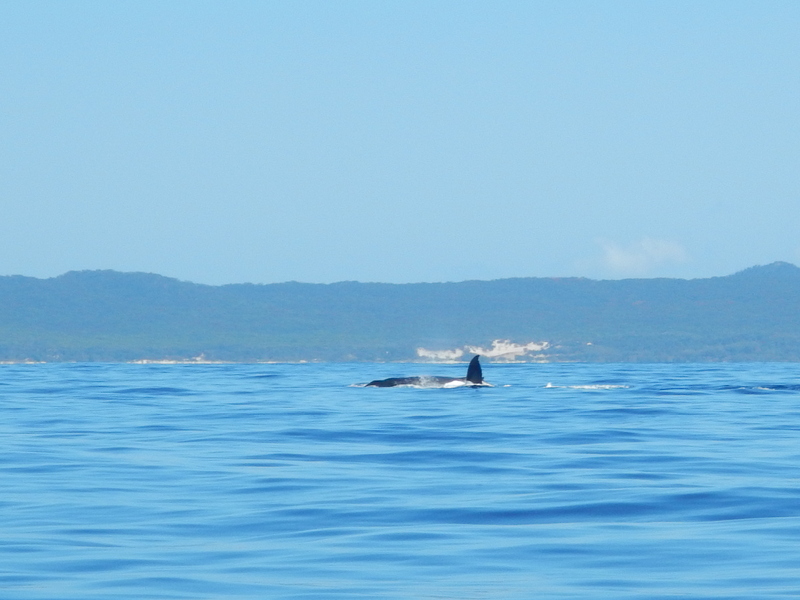 We were now off North Stradbroke island and later Morten Island, motoring in almost flat calm, sunny with numerous dolphin and whale sightings along gorgeous coastline. Around midday the wind started building from the North and we sailed and later motored from Cape Morten to our destination of Mooloolaba. The last 3 hours were pretty hectic with strong wind against the out-going tide making for rough conditions, plus some moments of stress wondering whether a zig-zagging container ship intended running us over. Mooloolaba is a beautiful spot and we enjoyed 2 nights there waiting for the wind to turn South once more. We were now sailing in companionship with Peter from Haven 111, whom we had met in Coffs and realised we were travelling at a very similar speed. 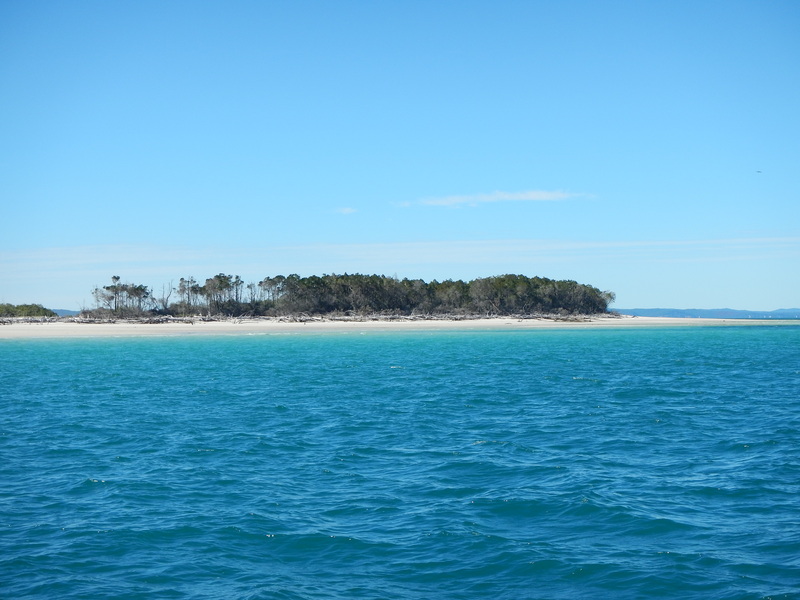 The plan was to sail outside Fraser island and stop at Lady Musgrove island. After a great day of windy downwind sailing we had a look at the Wide Bay bar entrance and decided that it would be okay to enter the Sandy Straights (inside Fraser island), so the plan changed and we spent the night anchored at White Cliffs, half way throught the Sandy Straights. The next morning we set off for Bundaberg, doing a bit of a loop in Hervey bay in search of whales, which are supposed to be prolific in this area. Must have been a bad day because we saw none, but did greatly enjoy the beauty of the western coast of Fraser island. The wind faded and we were motoring towards Bundaberg when suddenly we lost drive. The engine was revving but we weren’t going anywhere! Bruce stuck his head in the water with a face mask and confirmed that the prop was still there, but something was wrong with the connection between engine and propeller. 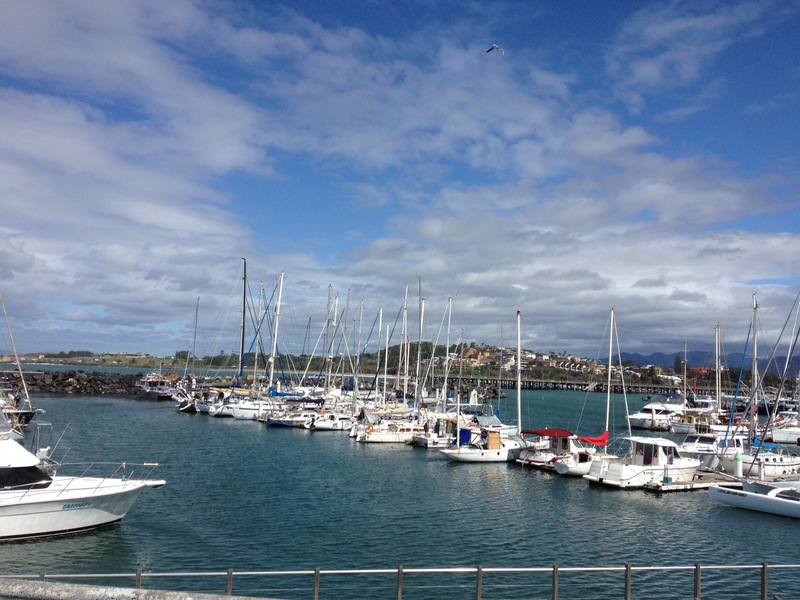 Fortunately the wind had filled in from the North East and we were able to sail into Bundaberg and onto a marina dock. Thank goodness this happened where it did! 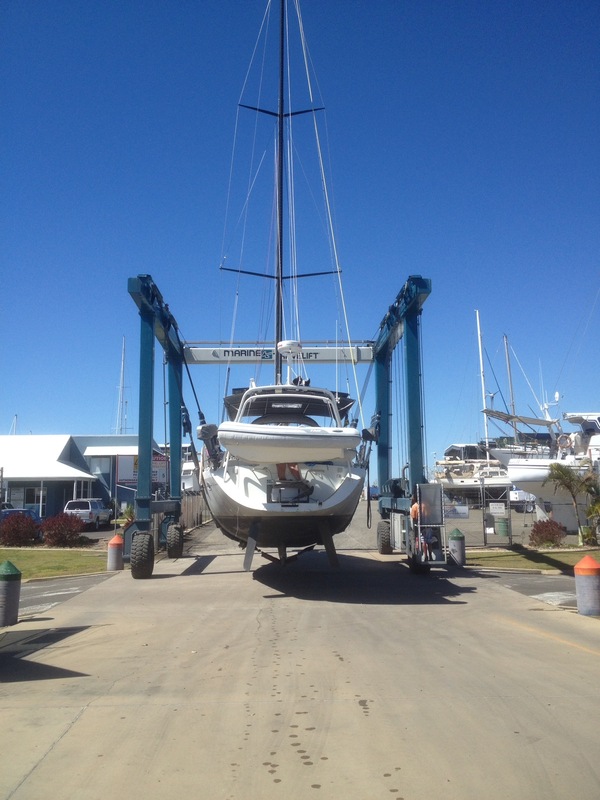 So, we are now in Bundaberg, out of the water at the boatyard and awaiting deliver of a new propeller hub, which turned out to be the culprit. This is not such a bad outcome and will only cost us a few days and a few (quite a few) dollars, but is better than a lot of other things that could have caused this problem. We have been fortunate to be loaned a car here by a new friend so will enjoy the weekend seeing the sights of Bundaberg and maybe getting in a bit of kite surfing. We hope to leave on Tuesday or Wednesday for Lady Musgrove perhaps? Who knows? Moments of absolute beauty, joy and happiness. Moments of sheer terror, moments of stress. Much of this happening in a state of dreaminess caused by lack of sleep. By jolifou in Uncategorized on September 6, 2014 . May good fortune and favourable winds take you on a pleasant journey. Lovely story Bruce thank you. Fair winds and many happy hour so cruising love to you both. OMG what an adventure. Cant wait for the next installment. Love and hugs to both and safe sailing.